Excellent history of this century-old outdoor recreation organization based in the Pacific Northwest. 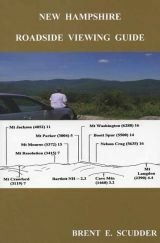 A well researched and delightful place names guide to the mountains of Maine. An interesting new book about author George McAvoy's father, Henry, who was location manager and special effects expert for Fox Films in the fledgling days of the movie industry. A handy natural history guide to Vermont's famed Long Trail. A great new photographic look at New England's iconic covered bridges. Features both vintage and modern-day images. 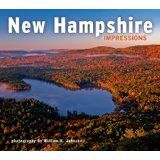 A good young readers guide to New Hampshire. Provides a colorful, comprehensive portrait of the state's history, people, land, economy and government. Chart your progress as you scale the New Hampshire 52 With a View list with this handsome passport book. A stunning new collection of Granite State images by the well known New Hampshire photographer. A nicely done photographic history of skiing in the Granite State compiled by well-known ski historian John B. Allen. A great new guide to the best roadside vewpoints in the Granite State. Features more than 80 spots in all. A wonderful children's book paying homage to New Hampshire's iconic Old Man of the Mountain.